This part from the No. 1 engine, the cowling, or engine covering, was found in a field in Penn Township, near Bernville, Berks County, about 60 miles northwest of Philadelphia, according to the National Transportation Safety Board. Investigators collected that piece on Wednesday. Southwest Airlines Flight 1380 experienced a "rapid uncommanded" turn of about 41 degrees after its left engine was damaged mid-flight, National Transportation Safety Board Chairman Robert Sumwalt said Wednesday afternoon. "Usually when you're flying on an airline, you rarely get over 25 degrees of bank," Sumwalt said. "This went over 41 degrees. The pilots leveled the wings. During the rest of the flight, there was a fair amount of vibration throughout the air frame." NTSB investigators examined a preliminary rundown of the plane's flight data recorder information, Sumwalt said. The plane, which took off Tuesday morning from LaGuardia Airport in New York City and was headed to Dallas' Love Field, made an emergency landing in Philadelphia after experiencing engine damage. One passenger was killed during the flight. Jennifer Riordan, of New Mexico, reportedly was struck by debris that broke through a window. Piloted by Tammie Jo Shults, the plane landed at a speed of 169 knots, which converts to about 190 mph, Sumwalt said. Typically, a 737 jet will land at a speed of 135 knots, or 155 mph. About 22 minutes passed from the time the engine failed to the plane's landing at Philadelphia International Airport. People continue to find pieces of the plane – including part of a cowling, or exterior engine cover – that fell to the ground during the plane's descent. 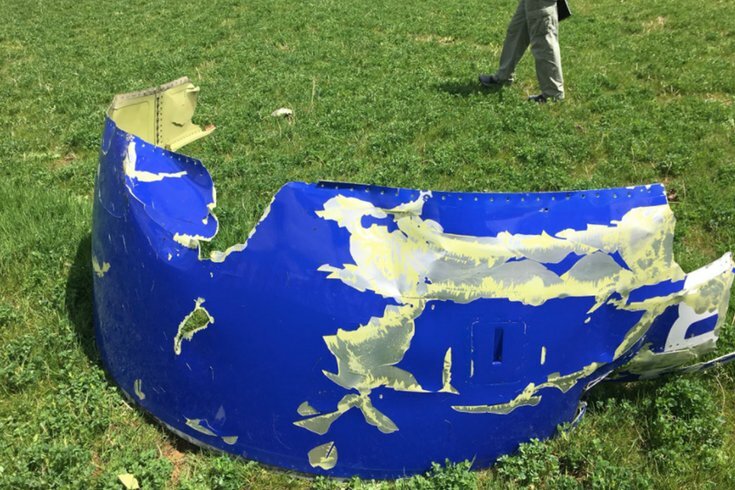 The NTSB will put together an official transcript of the cockpit's voice recorder. Investigators are currently interviewing the pilots. Sumwalt has said a full investigation will likely take from 12-15 months.